Some judgments mark an end of season: The Court is reassured by the fact that the case decided can no longer serve as a precedent, since the legal framework has meanwhile changed, so that a case similar to the one in dispute can no longer arise (text in FR). Only a trade union relying on members’ subscriptions can claim it is independent. 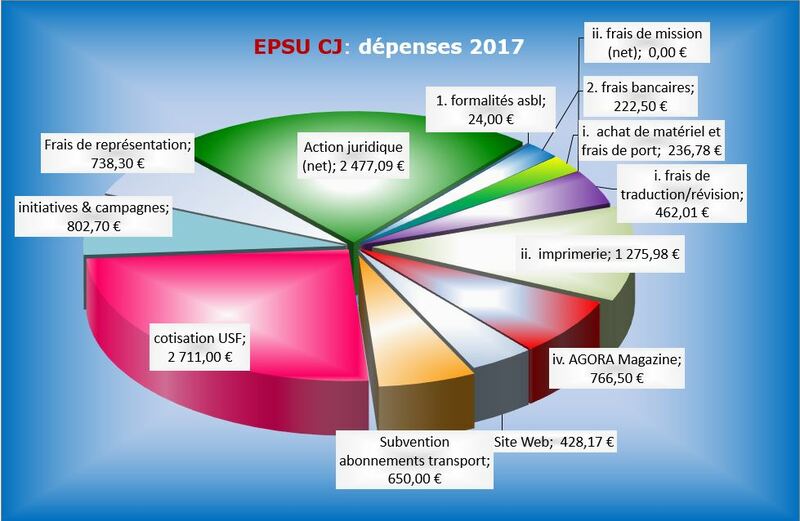 This is so with EPSU CJ (subscriptions collected in 2017: € 21 947.72). Click on the image to see how expenses are broken down.